Located in Bandung, Cottonwood Bed & Breakfast House is in the business district, a 4-minute drive from Maranatha Christian University and 7 minutes from Barli Museum. Featured amenities include dry cleaning/laundry services, a 24-hour front desk, and luggage storage. A roundtrip airport shuttle is provided for a surcharge (available on request), and free self parking is available onsite. 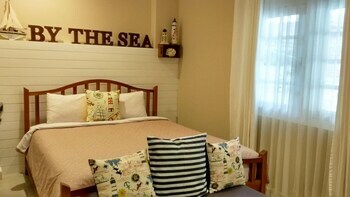 Located in Kuta (Legian City-Centre), Kempu Taman Ayu II is within a 15-minute walk of Kuta Beach and Legian Beach.